The graphic designer Lasse Hietala studied at the Central School of Arts and Crafts from 1945 until 1948. After having completed his studies, he got a job in the advertising division of the KK Central Society of Cooperatives. In 1951, Lasse Hietala decided to become an independent commercial graphic designer. Soon afterwards, he also started teaching at both Mainosgraafikkojen koulu (MG) and the Ateneum. 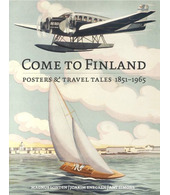 Hietala is among the leading Finnish poster artists and his poster production is extensive. Among his many clients were Talja (now the Central Organisation for Traffic Safety in Finland) and the Finland Post Corporation, for which he has worked for over 30 years. In 1963, Lasse Hietala won the Poster of the Year competition for the first time with his very likeble poster Vaihda kohteliaisuuteen (‘Change gear to politeness’) which urged drivers to be more cautious in traffic. Prizes and awards have rained down on Hietala throughout his career. Among other things, he has won the Poster of the Year competition no less than six times, the last time in 1992. In 1985, he also won the Sanan-Mahti competition marking Kalevala’s 150th anniversary which explored the power of words as a theme. Hietala has also won many prizes internationally. For instance, he won a competition held in Amsterdam in 1988 for the best outdoor advertisement. Lasse Hietala’s work has also been exhibited in many cities including Vienna, London and Moscow. When the European postal services chose poster art as a theme for a series of stamps in 2003, Finland contributed two stamps featuring Hietala’s posters from the 1960s. In 1984, Lasse Hietala was granted a state art pension.